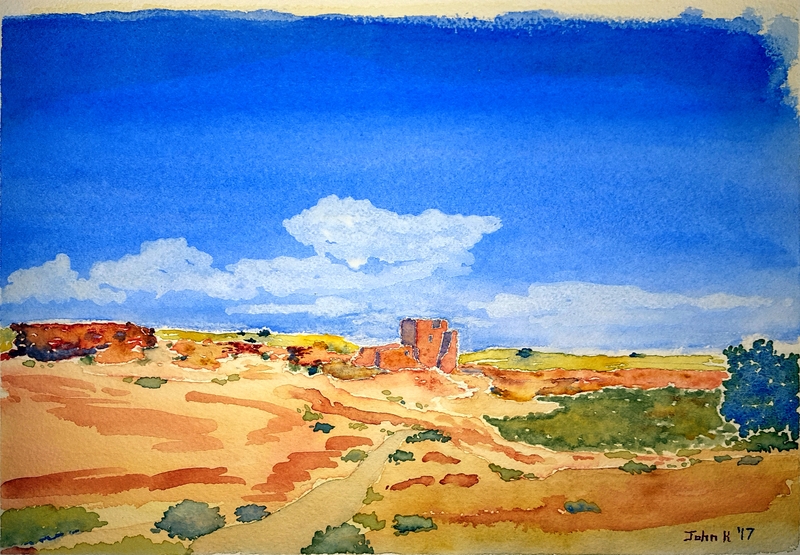 This is another view of the famous Wukoki Pueblo ruins that I’ve painted before (from the Wupatki National Monument near Flagstaff, Arizona). It features a tall sandstone wall with small window holes that keep watch over the sacred land and eye the tourists who come to visit. For a thousand years this wall has stood here. I hope that it stands for a thousand more. An abandoned pueblo of sandstone and spirits. One witness — a lore tree. What does a red sky rising mean? 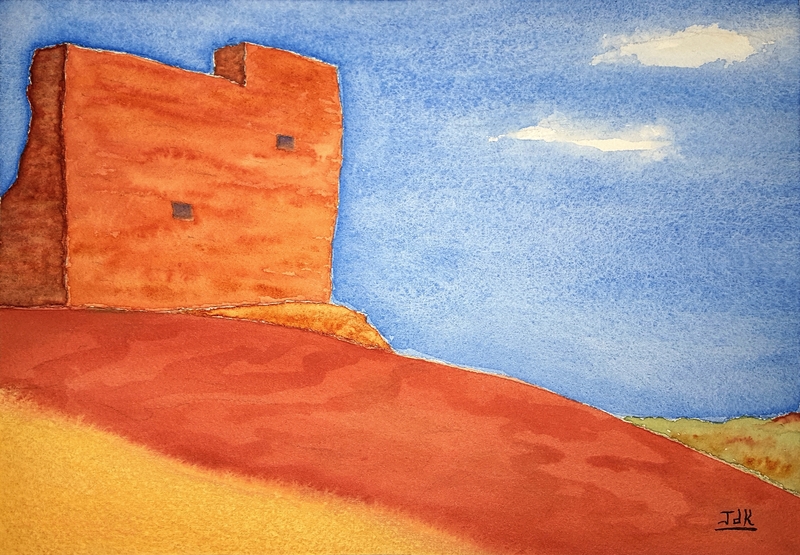 This painting features a favorite motif of mine — the remarkable Wukoki Pueblo from the Wupatki National Monument in Arizona. It’s one of a few surviving dwellings built a thousand years ago by the Sinaqua people using the red layered sandstone that the land provided them. This time I went back to my original photographs from 1984 and recreated the scene as faithfully as possible while applying a classic impressionist style borrowed from the 20th century American painter A. B. Davies in his later watercolors. I’ve been looking to try this style for a while now and this seemed like the perfect subject. I hope you enjoy it! How about something whimsical this week? 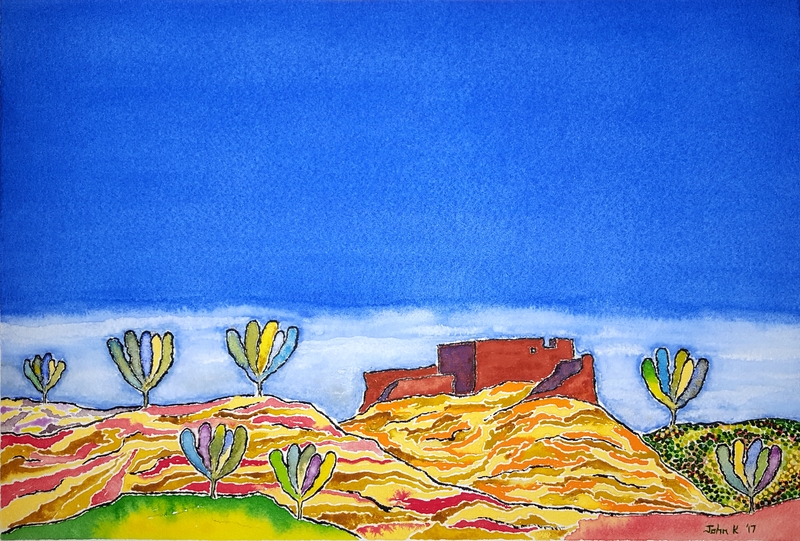 It’s a colorful landscape loosely based on the ancient pueblos of the Wupatki National Monument near Flagstaff, Arizona. 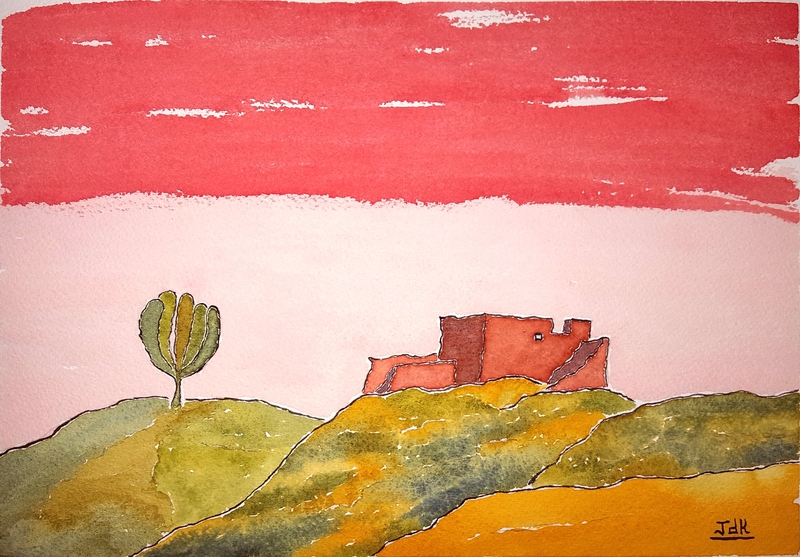 Of course I’ve used a little artistic license (well, maybe a lot) to surround these iconic ruins with a wildly “painted desert”, but how else can you convey the spirit of such a storied land?